The soundtrack to the wonderful series, Ren, is now on sale for £5. If you haven’t watched Ren yet, you can watch it on YouTube for free here. 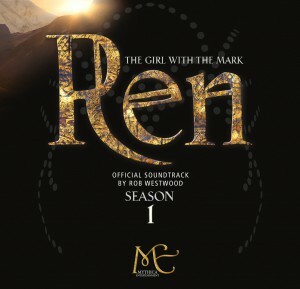 Ren: The Girl with the Mark is an original fantasy action series starring Sophie Skelton (Outlander) and directed by Kate Madison (Born of Hope). Ren is the tale of a young woman who, after a strange encounter in the woods, is marked by an ancient spirit. Cast out from her small village, she is forced to leave behind the family she has spent her whole life protecting and journey across the land to find the real meaning behind the mark she bears. LEGO® Marvel Super Heroes is Out Now! Cinders wins “Best Original Score” of 2012 over at VNs Now! Copyright © 2009-2016 Rob Westwood. All music is Copyright © to it's respective copyright holders. All Rights Reserved.